Custom printed Hot Dog Bags are the perfect way to package America’s #1 sports stadium treat! When it comes to hot dog wrappers, or hot dog paper holders, there is nothing better than hot dog bags. We all know how messy hot dogs can be, so keep it all in one place with a hot dog bag. 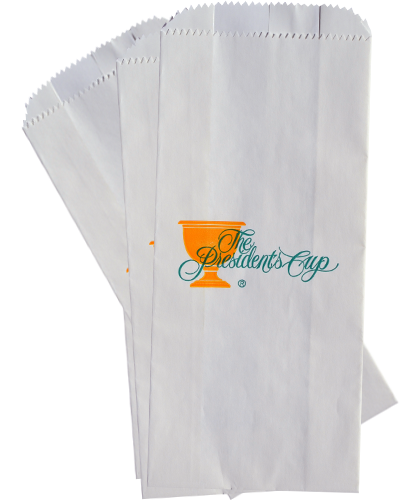 These coated paper bags help seal in the heat and moisture to keep your hot dogs tasting fresh well after they have been packaged for sale. Custom printed Hot Dog Bags look great for any occasion! With a five case minimum order, how can you go wrong? Custom Printed Hot Dog Bags will make your food service project that more attractive! How many custom printed Hot Dog Bags do I need to buy? What is the lead time for custom printed Hot Dog Bags? 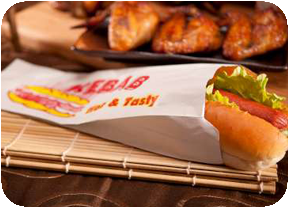 Standard lead time for all custom printed Hot Dog Bags 4-5 weeks. Rush orders are available for an additional fee. Hot Dog Bags can be printed up to 3 spot PMS colors with registered or full coverage printing available. Custom cut sizes are also available. What kind of artwork is required?? Need a price quote on Custom Printed Hot Dog Bags? Contact us today!